Treesea Place in Nanaimo is a perfect example of one of our commercial rope access window cleaning contracts. Passenger terminal, Nanaimo Port Authority. Need a tall building, or commercial structure maintained with the best safety standards on the planet? 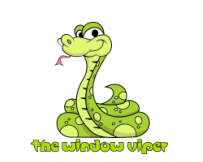 The Window Viper adheres to the strictest safety regulations set forth by IRATA and SPRAT to guarantee you get what you need done safely and cost effectively. Using independent rope systems to access the work area the impact on the structure and your budget are kept to a minimum. Forget about scaffolds, swing stages, and man lifts. If your building is equipped with certified rope anchors you can consider the job done. Our central location in Cowichan, makes it easy to serve both Victoria and Nanaimo. Call now, your free estimate awaits!